Businesses today are struggling to make sense of the vast amounts of data and business signals that surround them. They have too much data and too little insight, have poor linkage between insights discovery and business action, and scarce learnings from actions taken. 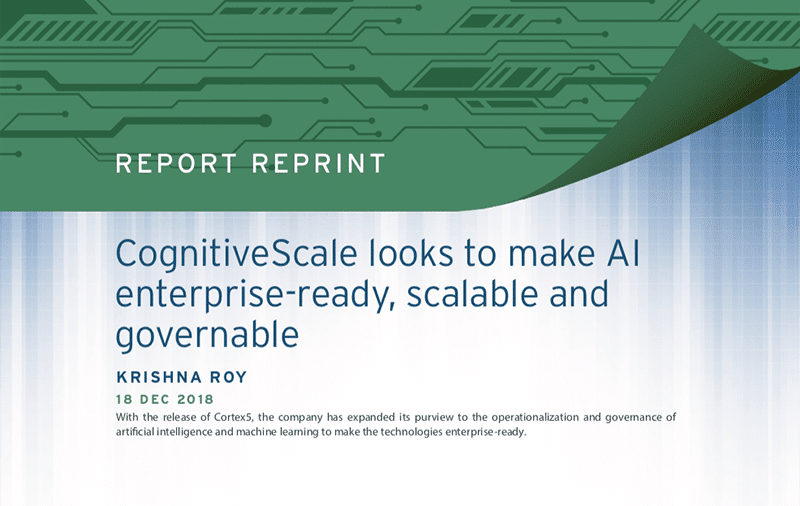 CognitiveScale Cortex is the world’s first Cognitive Foundation. 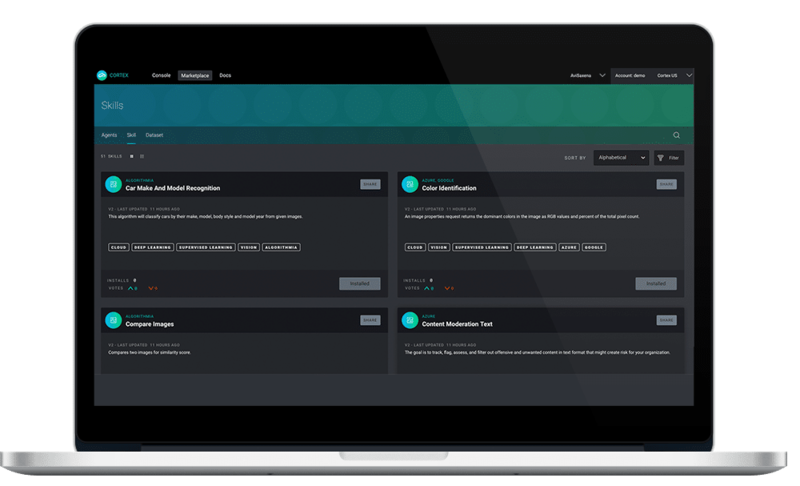 Built on open and extensible specifications, Cortex radically simplifies design, development, delivery, and management of trusted cognitive insights and business processes that are transparent in their operations and get smarter and better with time. Cortex can be deployed within your data center or on any major cloud. It works with multi-structured data located within your enterprise or across multiple clouds and has the unique ability to bringing AI compute to the data vs moving data to the compute. Cortex Cognitive Platform is a unified programming and operating environment that enables data science and software development teams to be more agile and bring business experts deeper into the development of a cognitive business process. 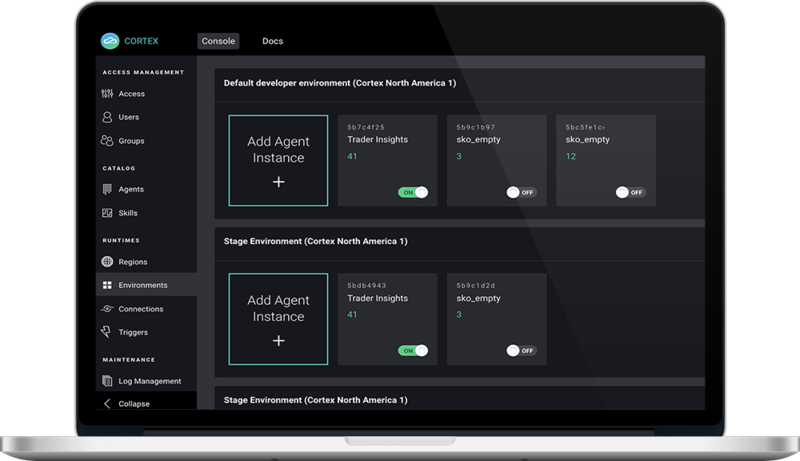 Cortex radically simplifies the development, deployment and management of enterprise AI systems, and is the first enterprise AI software that drives 70% cost savings to build an AI solution, 3x faster speed to realizing business value, and 60% reduction in support and maintenance. An online collaboration system that provides access to thousands of high value AI building blocks and cognitive process accelerators to speed up development, governance, and compliance of AI systems. 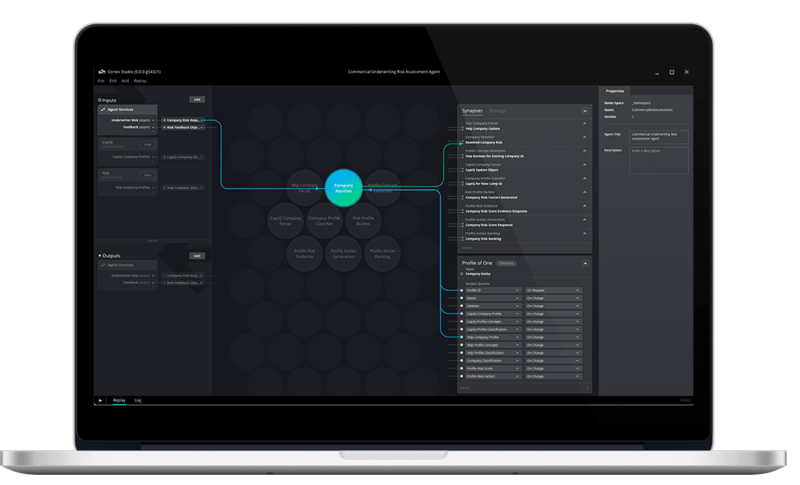 An open and extensible visual workbench that helps developers and data scientists to collaboratively create and deploy enterprise grade cognitive business processes at scale. Supports data science frameworks such as TensorFlow, Torch, OpenCV, Microsoft Cognitive Toolkit, Scikit-Learn. Several others are on the roadmap. Unique data and compute access and integration infrastructure that simplifies data access and helps monetize client’s cloud, big data and machine learning investments of choice. Fabric helps clients host their data, models, runtime services, and compute where they need it — within their enterprise or across multiple clouds. A performance and governance layer that enables the monitoring and optimization of model and cognitive process performance. 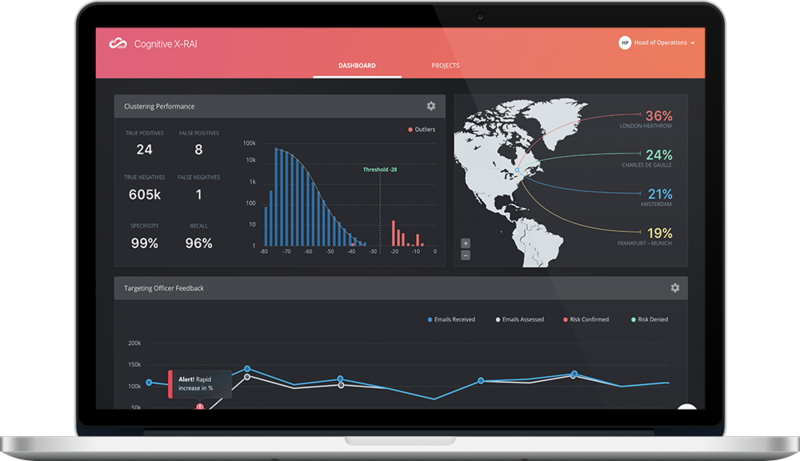 Helps business users, developers, and data scientists measure, analyze, govern, and continuously improve performance of AI processes and insights through role-based consoles.